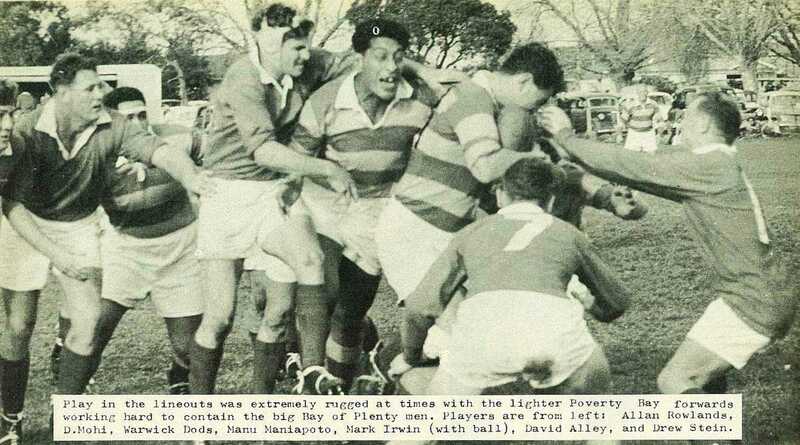 Poverty Ray suffered their first defeat of the season when they met the powerful Bay of Plenty fifteen at Rugby Park recently. 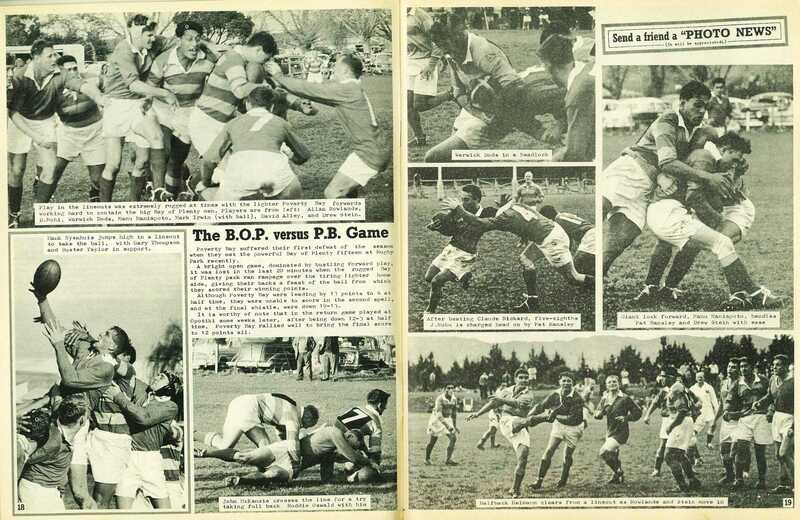 A bright open game, dominated by bustling forward play, it was lost in the last 20 minutes when the rugged Bay of Plenty pack ran rampage over the tiring lighter home side, giving their backs a feast of the ball from which they scored their winning points. Although Poverty Bay were leading by 13 points to 6 at half time, they were unable to score in the second spell, and at the final whistle, were down 19-13. 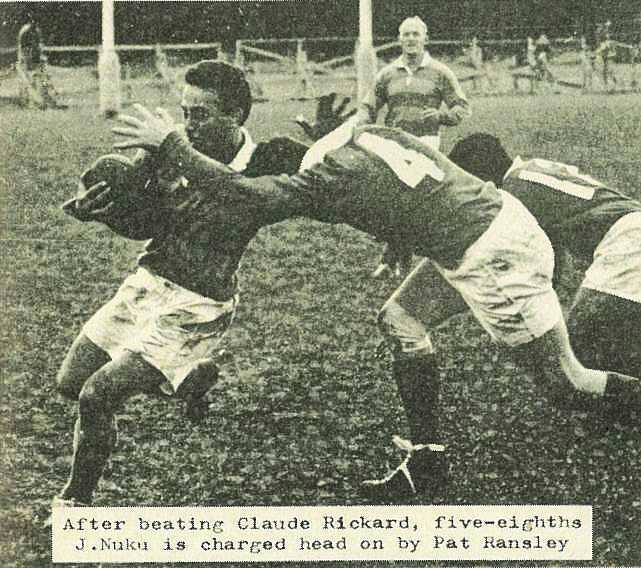 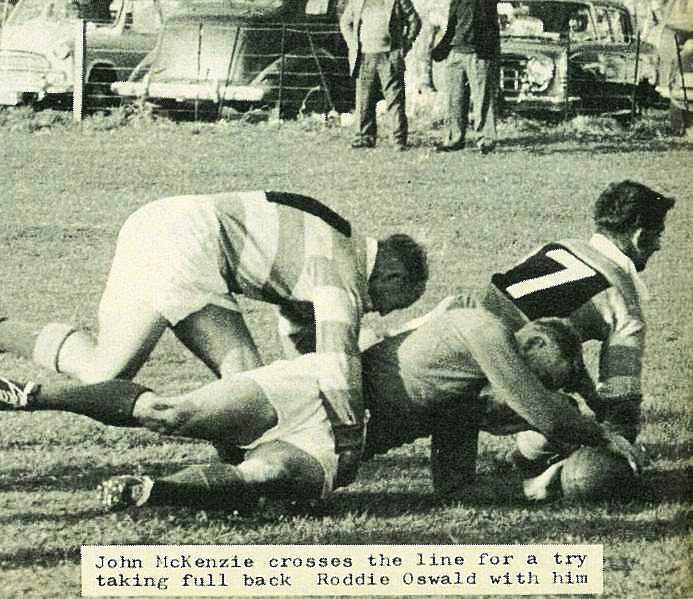 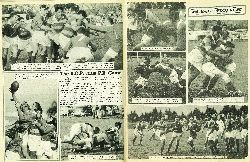 It is worthy of note that in the return game played at Opotiki some weeks later, after being down 12-3 at half time, Poverty Bay rallied well to bring the final score to 12 points all. 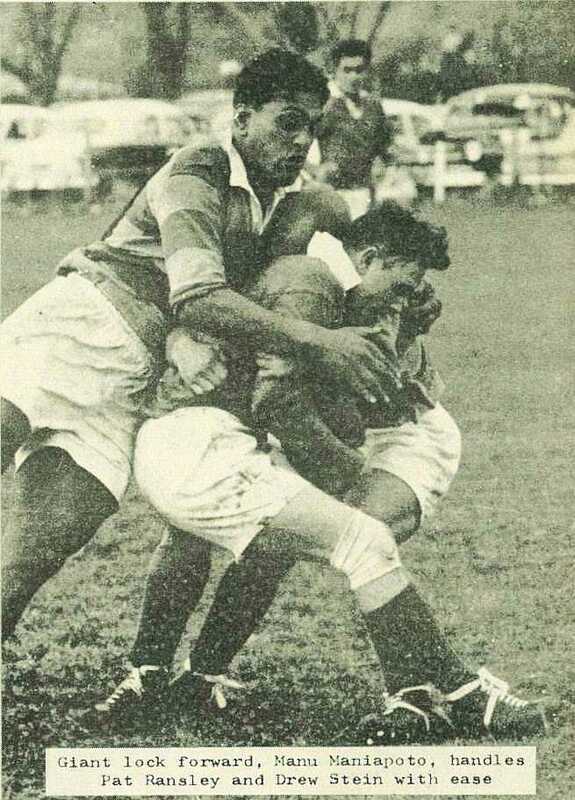 Play in the lineouts was extremely rugged at times with the lighter Poverty Bay forwards working hard to contain the big Bay of Plenty men. 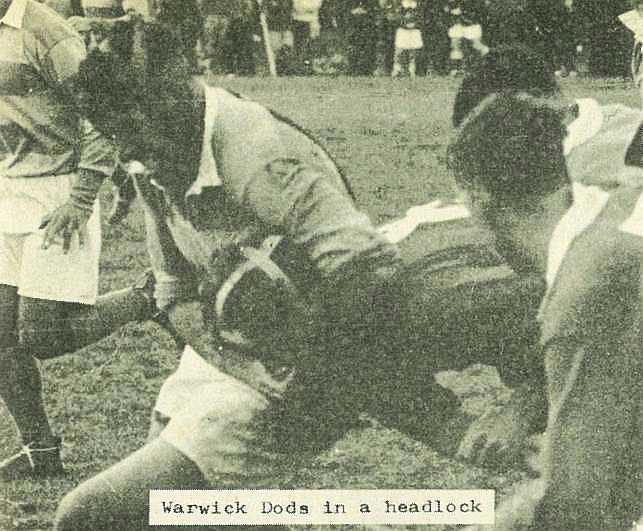 Players are from left: Allan Rowlands, D. Mohi, Warwick Dods, Manu Maniapoto, Mark Irwin (with ball), David Alley, and Drew Stein. 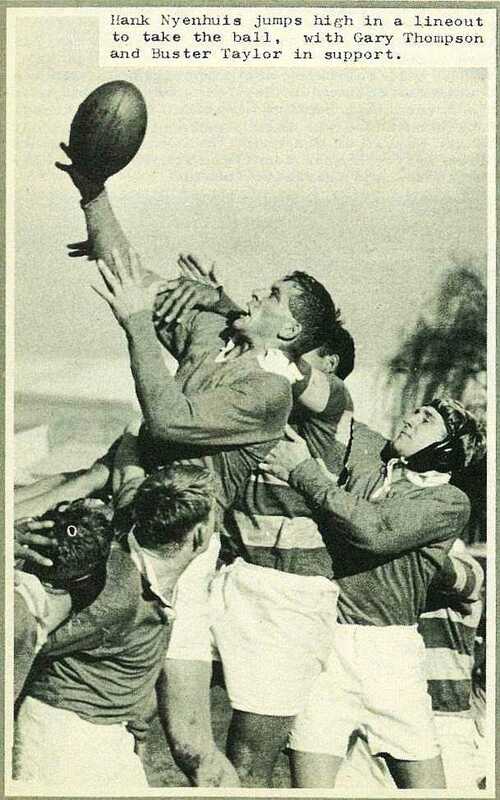 Hank Nyenhuis jumps high in a lineout to take the ball, with Gary Thompson and Buster Taylor in support.